Balwin Properties Ltd (BWN) is a JSE-listed homebuilder, focused on building large-scale sectional title residential estates across South Africa. �Balwin typically targets the growing middle class in metropolitan areas and has been trading on the JSE since its listing on 15 October 2015. Yesterday, Baldwin released its Audited Provisional Results for the Year Ended 28 February 2017. Balwin continues to profit from the current wave of demand for sectional title residential estate living. South Africans are looking for safe, well-built and conveniently located residential units at an affordable price, and with a reported 30% rise in revenue (to R2.7 billion from R2.08 billion the year before), Balwin appear to be well positioned to meet this demand. During the reported period March 2016 to February 2017, Balwin were busy with 13 developments. 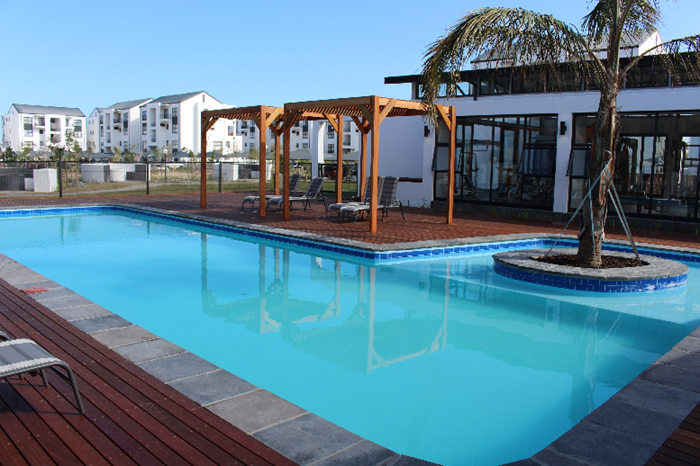 A total of 2,711 apartments were completed and handed over, and an average selling price of R995,000 per unit was established. It is the stated ambition of Steve Brookes, CEO and founder of Balwin Properties, to continue to grow and expand the operating capacity of the developer. As far as a secured pipeline goes, it "...has been extended to 33,786 apartments to be rolled out over approximately ten years, which will sustain our future growth,"�Brookes�said. The last financial year marked the first development in Waterfall (named the Polo Fields) after successes in Pretoria, Johannesburg and Cape Town. And in this financial year, Balwin expects to begin work on their first development in KwaZulu-Natal. An office has been opened in Umhlanga and land acquired in Ballito for development, as the organisation deems entry into the housing market in the KwaZulu-Natal province as a key strategic milestone. Balwin’s rental portfolio is expected to grow to between 2,000 and 3,000 units by 2020 (with an estimated value of R2 billion to R3 billion). Management have indicated that they are open to the idea of spinning off the rental division in time if it unlocks shareholder value. The rental portfolio could then foreseeably be listed as a REIT on the JSE. To date, the pilot project has experienced a first year net-income yield versus costs of between 12% and 15%. Healthy signs indeed for the rental division’s future prospects. In the interim, Balwin’s core business of developments has already secured pre-sales for the 2018 financial year of 1,283 apartments. This equates to some 47% of last year’s numbers.